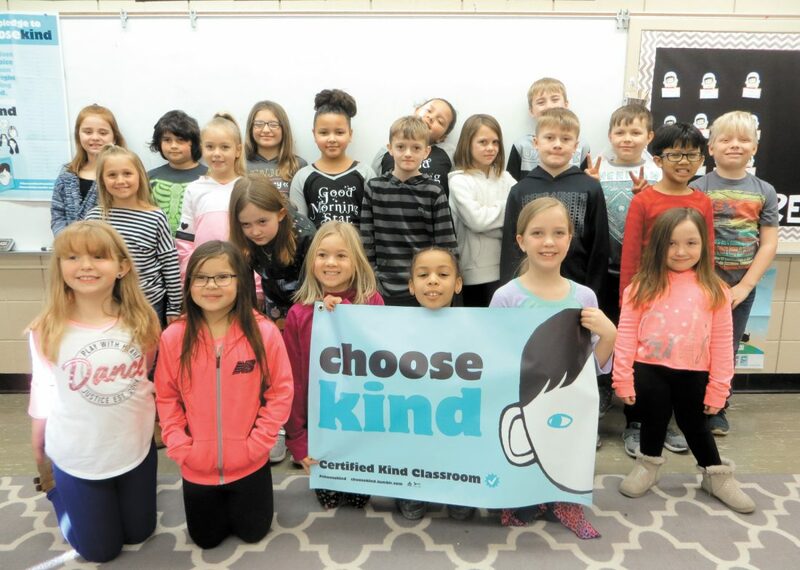 Madyson Alstott’s third-grade class at Feelhaver Elementary, pictured above, has been recognized as a Certified Kind Classroom after completing the 2018-2019 Certified Kind Classroom Challenge. They were inspired by the book “Wonder,” by R. J. Palacio. about a boy whose severe facial disfiguration prevented him from attending mainstream school prior to fifth grade. A boy named Auggie is inspiring third-grade students in Madyson Alstott’s classroom at Feelhaver Elementary to complete acts of kindness. Auggie, the main character in the book “Wonder” by R.J. Palacio, is a boy whose severe facial disfiguration has prevented him from attending mainstream school prior to fifth grade. Multiple voices tell the story that portrays a community as it struggles with differences. While reading the book the class decided to participate in the 2018-2019 Certified Kind Classroom Challenge. The challenge promotes, recognizes and celebrates acts of kindness. For each kind deed, the students add a bead to a jar. The students were excited to share examples of the kind acts they have been doing. “We help each other fill up our water bottles or let our friends borrow pencils and materials,” Makayla Liska said.